When we talk about trends this season, peplum is arguable one of the hottest. It’s almost impossible to watch a read carpet event this season without seeing this über feminine throwback trend born in the 80’s. Initially I had my doubts that the style would be flattering on a wide range of body shapes, but peplums create an instant hour glass by accentuating the waist and masking any problem areas in the midsection. The incredible slimming silhouette of this fashion phenomenon can be had dresses, skirts, jackets, and blouses in styles versatile enough for work or play, weekday to weekend. 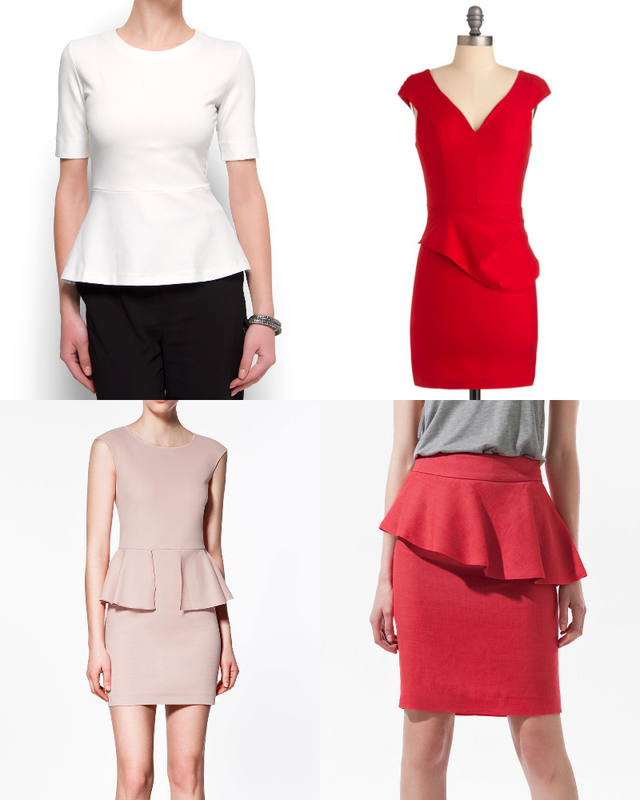 Ladies, this spring show off your curves or create new ones by tapping into the power of peplum. Cheers to a very happy and feminine Femme Friday!